Since we are mobile, when you have a problem, I come to you. If you are in Kissimmee, Florida or the surrounding areas such as Disney's Fort Wilderness, Old Town, etc. I will come to your campground site or wherever your coach is. We can help you repair or diagnose problems with Electrical, Plumbing, air conditioning, water heaters, stoves and more. We offer installation services for things like Satellite Installation and Repair, awning repair or replacement, ovens, microwaves, refrigerators, washer-dryer combos, the list is almost endless. We can help you find new or used appliances as well. 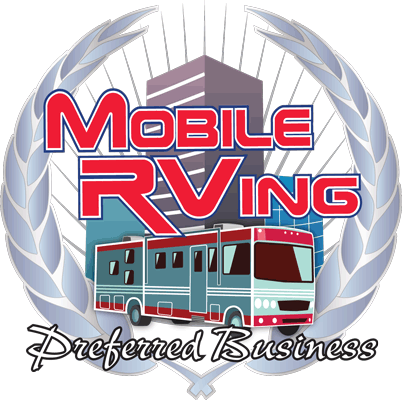 We can also help get your rv sold if needed, or if you are looking to purchase one we might know of one that is right within your price range. We can also recommend local providers of RV wash and wax service for coaches, depending on your location. On a regular basis I also come across many "almost" new or previously owned or sometimes refurbished and used RV Appliances and RV parts. I sell many of these items on eBay quite often. For my online eBay Auctions, the seller id's to follow are rvmyway, ffiegl and jacalynl or you can click one of the following links here rvmyway, ffiegl and jacalynl to see if I have current listings running. You may also call me during regular business hours at 407-922-7302. If you are looking for rare or hard to find items, be sure to check with me because "If you need it, I will do my best to find it for you." I've been in the Central Florida area for well over 20 years servicing RV's, Motor homes, Travel Trailers, 5th Wheels, etc. And I never let my ego get ahead of my skills, and will always provide you with straight and honest answers. Give me a call, even if you're not sure if I'm the one to help. If I can't help, I'll let you know and try to suggest someone who can. Thanks for visiting and I hope to hear from you. © Copyright 2008 - 2012 Frank's Mobile RV, All right reserved.